In the week I was away from home enjoying the rain (I’m not being ironic) in Devon the weather has changed in Italy too. 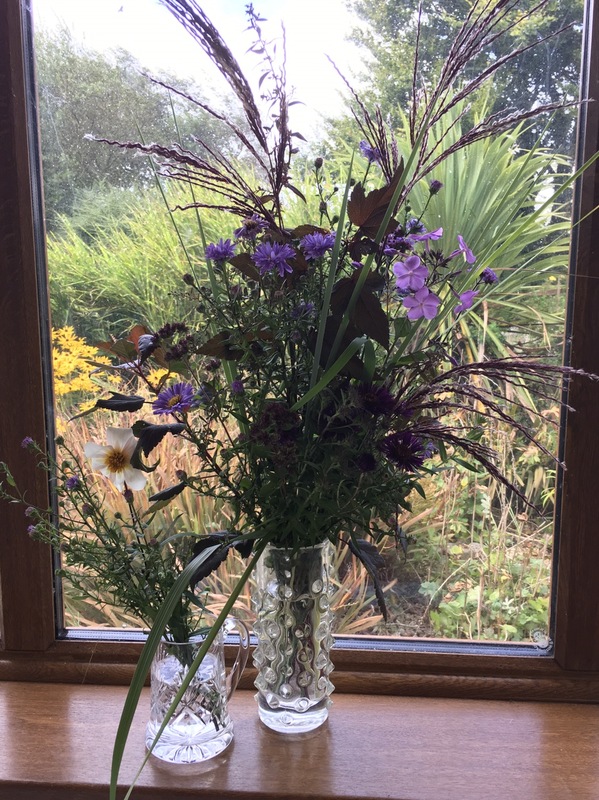 I didn’t think I was going to be able to participate in Cathy at Rambling in the Garden’s meme this week as I am not at home; however the lovely friend I’m staying with allowed me to pick some flowers from her beautiful garden in North Devon. 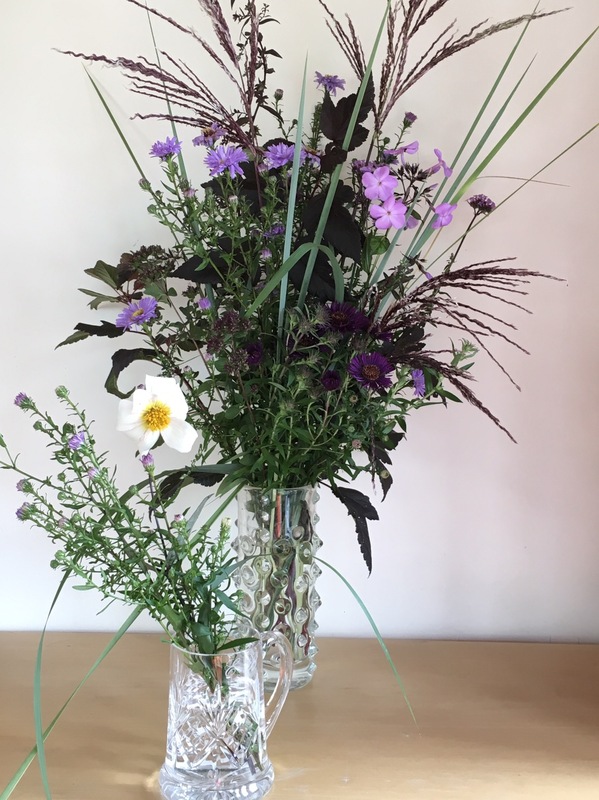 It was a pleasure to be able to use some different foliage and flowers. 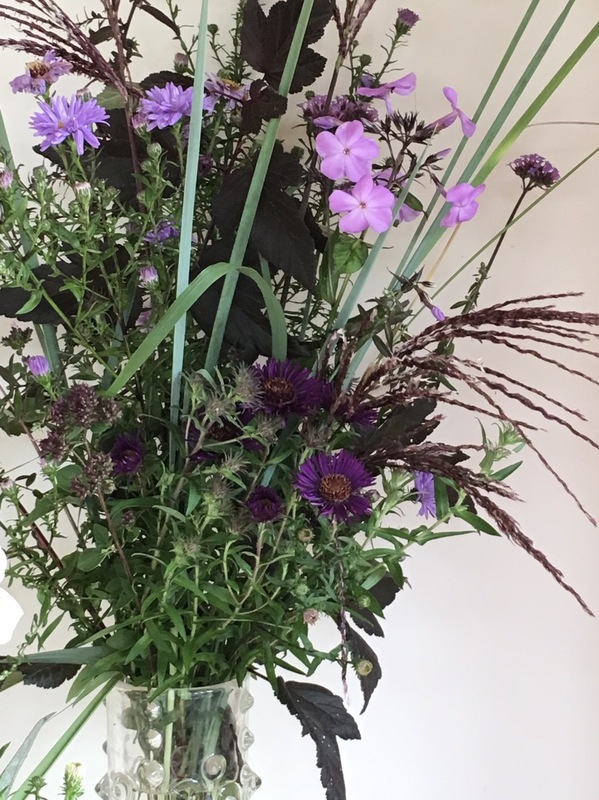 It is very windy today so being inside admiring the garden from behind glass is a lovely thing to do. I’ve used my iPad for this post and I’m not familiar with this method so please forgive the lack of tags and the link to Cathy. 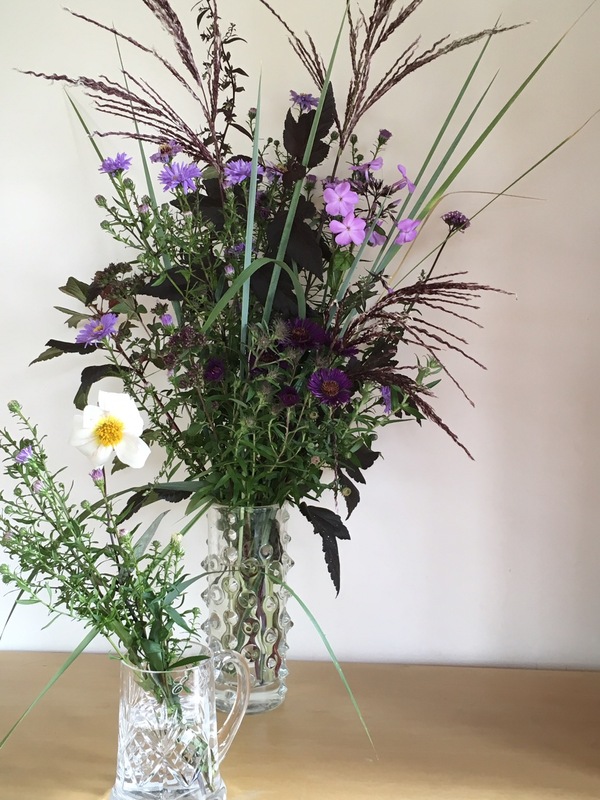 In a vase on Monday – late!